The “House in the Wood” is located in the hills 5 minutes from Isola Vicentina (twenty minutes from Vicenza). 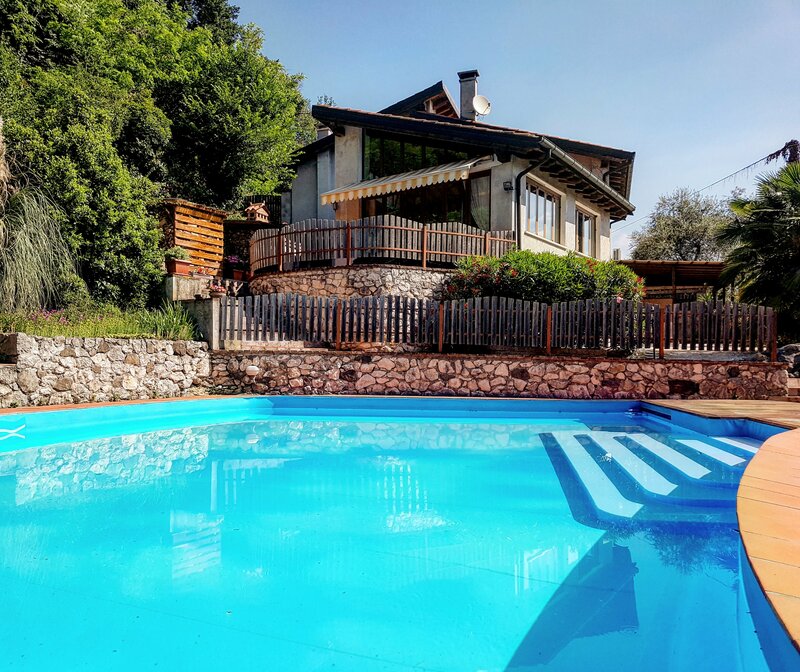 It is completely surrounded by woods and offers a gorgeous view of the country. It is peaceful and nature filled (you can easily see squirrels, deer, hare and many birds). Outside in the garden there is a beautiful porch, a little fountain and swimming pool where you can relax and sunbathe. From the house you can take many beautiful walks and paths in the wood on foot or by MTB. Very closed to us there are also two riding school. If you want you can try a Shiatsu treatments. 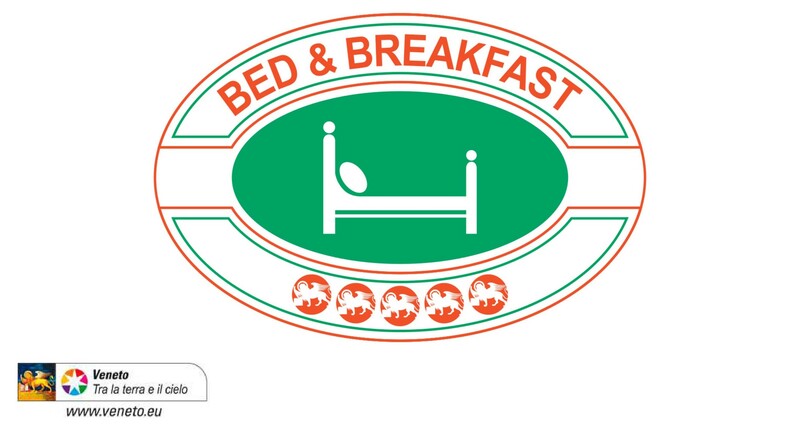 Il nostro B&B è stato classificato con il massimo del punteggio a struttura a 5 Leoni Alati di Venezia secondo la Deliberazione della Giunta Regionale del Veneto n. 419 del 31 marzo 2015. 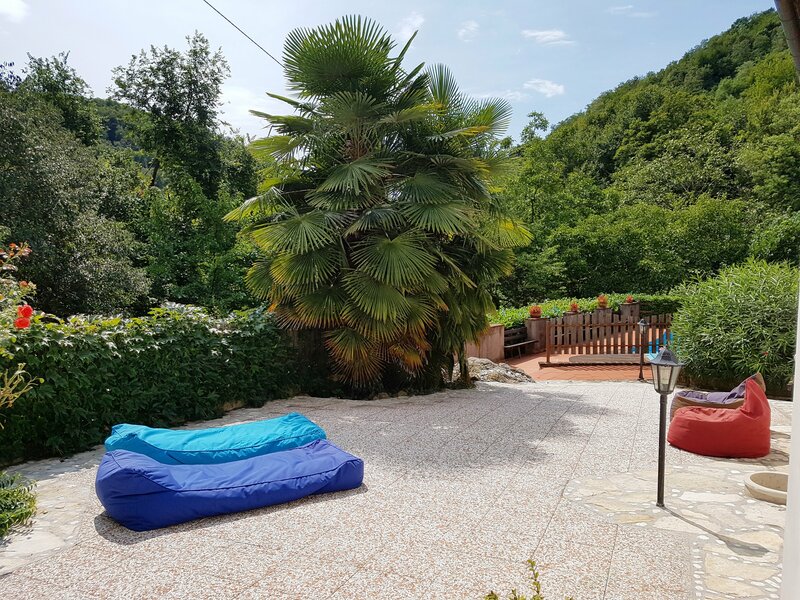 Copyright © 2019 La Casa nel Bosco Vicenza All Rights Reserved.